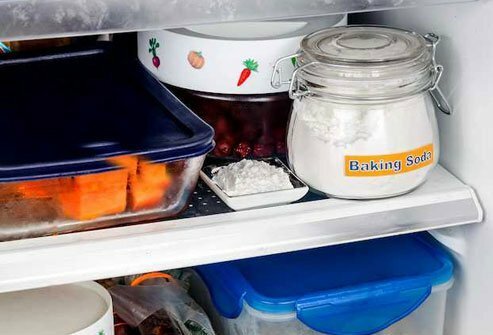 You may know it as the orange box that lurks in the back of your fridge to take out bad smells. Or as a pantry staple that helps your baked goods rise. But baking soda, aka sodium bicarbonate, deserves a spot in your medicine cabinet, too. Here's how it helps keep your body healthy and clean. 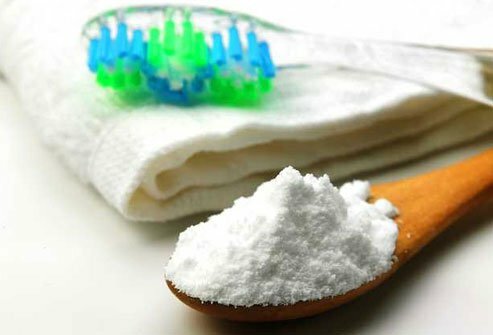 Baking soda works great to physically remove plaque, the sticky film of bacteria in your mouth. Over time, a plaque buildup hardens into tartar and can lead to gum disease. Dip a wet toothbrush into the powder and brush as usual. It doesn't have the fluoride you need to protect against tooth decay and cavities. Many public water supplies have added fluoride. Even so, brush with regular toothpaste as well to be safe. That garlic aioli pasta was delish. But now your breath is keeping even your dog away. 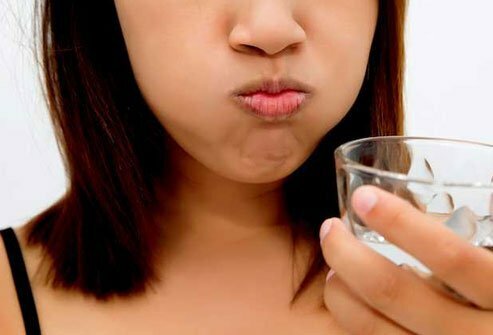 Swish a teaspoon of baking soda in a half glass of water and rinse your mouth. It doesn't merely mask the smell with a minty scent like most mouthwashes do. Baking soda actually banishes the odor altogether. Most things that stink have acidic or basic odor molecules. Baking soda brings them to a more neutral, odor-free state. No wonder sewage plants and feedlots use the stuff. It also works on your body odor. Dust a little under your arms in the morning. If you don't care for the powdery residue on your clothes, use stick deodorants that have baking soda. Look for ones that list sodium bicarbonate as a main ingredient. These organs remove waste and extra water from your body. 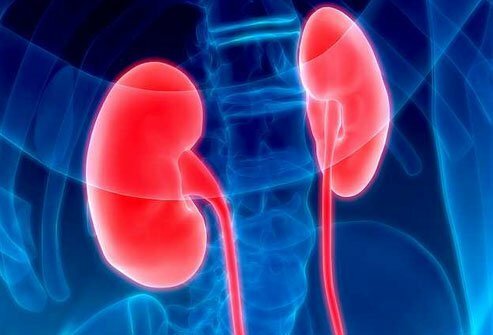 If you have chronic kidney disease from diabetes, high blood pressure, or other causes, acid can build up in your body.Sodium bicarbonate can bring the acid levels down and may help slow bone loss and build muscles. It's important to work closely with your doctor if you want to try this. Scientists are still figuring out exactly when and how this works. Emergency rooms and hospitals stock sodium bicarbonate as a treatment for cardiac arrests, poisoning, and other cases. It also helps to counteract the acidic properties of chemotherapy medication for cancer. Some studies show that lower acid levels may slow certain tumors from growing and spreading. Bitten by a mosquito? Brushed up against poison ivy? Baking soda to the rescue. It can relieve minor irritation, pain, itching, and redness. Mix up a paste of 3 parts baking soda to 1 part water. 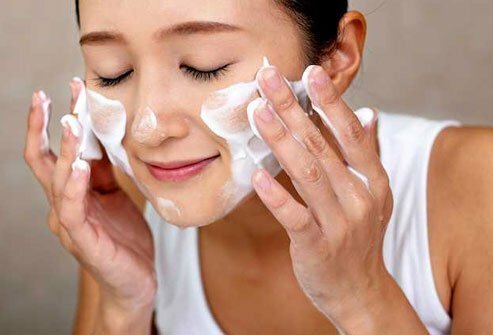 Smear it on your skin and leave for 20 minutes before you wash it off. Or soak in a bath with a half-cup of baking soda added to the water. 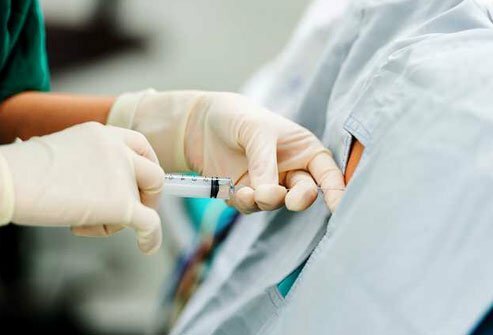 Sodium bicarbonate may boost the pain-killing powers of lidocaine used in epidurals. Researchers are studying whether it might help ease pain from cancer. If you're hurting from sunburn, soak a washcloth in a solution of about 4 tablespoons of baking soda per quart of water. Gently dab it on the affected areas to soothe your skin. It can help for other minor burns as well, including windburn. Sodium bicarbonate helps fight the extra acid that might rise from your stomach up to your throat and even your mouth after you eat. You can buy it over-the-counter as a chewable tablet. Or drink your own homemade antacid by mixing a half-teaspoon of baking soda in 1/2 cup of water. Talk to a doctor before you give it to kids under 6, or if you start to use it regularly along with other medication. Baking soda is mildly abrasive. Use it as a gentle face cleanser. Wash and rinse first with soap and water. Then, make a paste of three parts baking soda to one part water. Rub it in carefully in circles for a deep clean. Rinse with water. 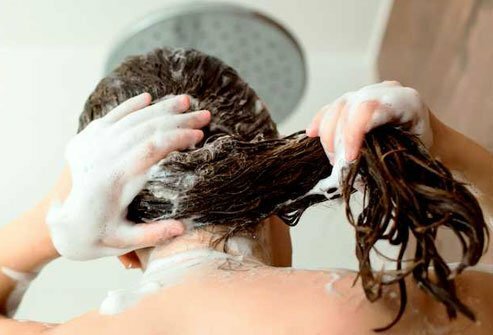 Mix a teaspoon of baking soda with your favorite shampoo to remove buildup from sprays, gels, conditioners, and other products. Your hair won't just be cleaner, it may become easier to style, too. Add a half-cup of baking soda to your bathwater. It will neutralize acids, wash away sweat and oil, and leave your skin silky smooth. Bonus: After you dry off, you can use a bit more of the stuff to scour the tub clean! 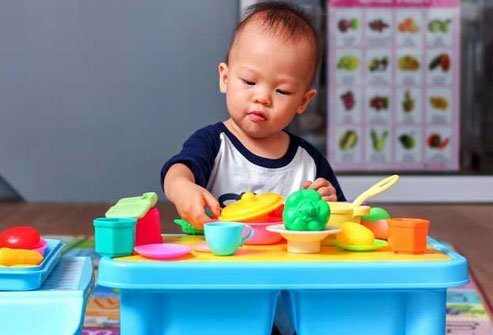 You can use baking soda instead of harsh chemicals to get grime off your baby's tray, highchair, and toys. Remember that it doesn't kill germs. But you can pair it with vinegar, which works as a disinfectant. Be sure to rinse well. 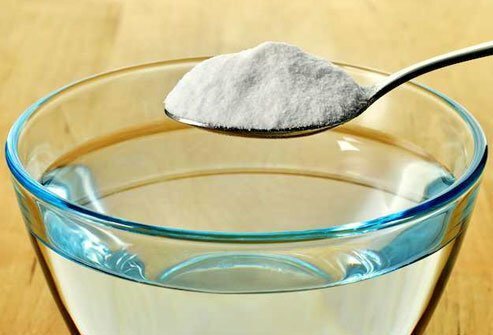 Dissolve 2 teaspoons of baking soda into a cup of warm water. 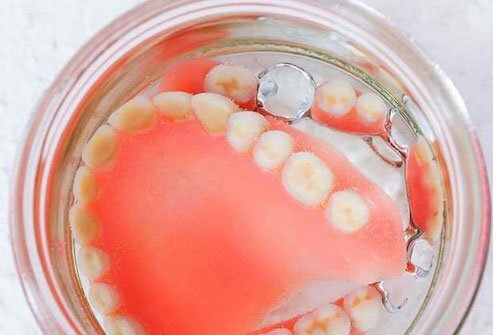 Then just soak your dentures to loosen food, get rid of odors, and freshen any lingering bad taste. It also works for retainers and mouth guards. For a more thorough job, clean them with some bicarbonate and a toothbrush. American Journal of Kidney Disease: "Treatment of Metabolic Acidosis in Patients With CKD." Journal of Clinical Dentistry: "Enhancement of plaque removal efficacy by tooth brushing with baking soda dentifrices: results of five clinical studies." Canadian Society for Intestinal Research: "Baking Soda for Heartburn." Cancer Research: "Bicarbonate increases tumor pH and inhibits spontaneous metastases." CDC: "Community Water Fluoridation," "Water Fluoridation Data & Statistics." 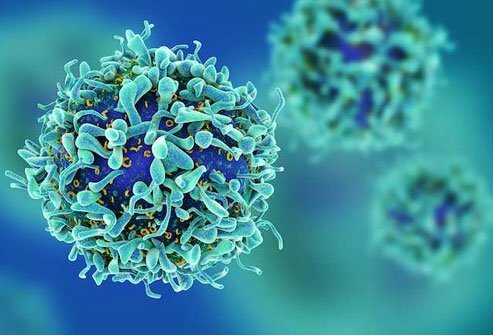 Journal of Nutrition and Food Sciences: "Buffer Therapy for Cancer." California Poison Control System: "The Use of Sodium Bicarbonate in Medical Toxicology." FDA: "Outsmarting Poison Ivy and Other Poisonous Plants." ClinicalTrials.gov: "Oral Bicarbonate as Adjuvant for Pain Reduction in Patients With Tumor Related Pain." Mesotheliomahelp.org: "Shortage of Sodium Bicarbonate, Important for Chemotherapy, Could Impact Mesothelioma Patients." 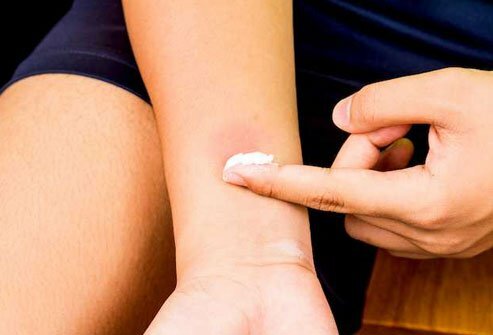 Nemours.org: "Insect Stings and Bites." Oconto County, University of Wisconsin-Extension: "Baking Soda - The Everyday Miracle." PubMed Health: "Sodium Bicarbonate (Oral route, Intravenous route, Subcutaneous route)." Scientific World Journal: "Sodium Bicarbonate Therapy in Patients with Metabolic Acidosis." American Society for Microbiology: "Acetic Acid, the Active Component of Vinegar, Is an Effective Tuberculocidal Disinfectant."